This may be as good a time as any to officially announce that I have been nominated and accepted as the President Elect of STAGBI (The Standardbred and Trotting Association of Great Britain and Ireland). It's semi-relevant to the trip to France, so bear with me on this. Not something I was anticipating when I went to the AGM a couple of weekends ago, I must admit, but I am honoured to have been considered and ultimately elected. When I rang my parents to tell them, my dad reminded me that only 13 years ago we as a family had no idea who or what STAGBI was. When Smokey arrived at our home, all white with sweat and eyeballs out on stalks, and I wondered what my dad's motives were in bringing this lunatic home for his teenage daughter to ride, we hadn't set eyes on a STAGBI passport before. It meant little to us. It was only when Smokey was subsequently sent to the stallion that the stallion owner advised us that we should become STAGBI members. Fast forward to 2016 and here I am, the President Elect (channelling Trump vibes, although the title is all we have in common). Anyway, the reason this is relevant is because on the weekend of December 2nd-4th I travelled to Paris on behalf of STAGBI to attend an international weekend hosted by Le Trot (pronounced 'Le Tro'), the French governing body for trotting. The purpose of the weekend was to celebrate the individual member countries' Trotteur Francais of the year, bring drivers from a number of the member countries together to compete against each other and to provide and receive feedback on the export and breeding programmes of Trotteur Francais within the various member countries. 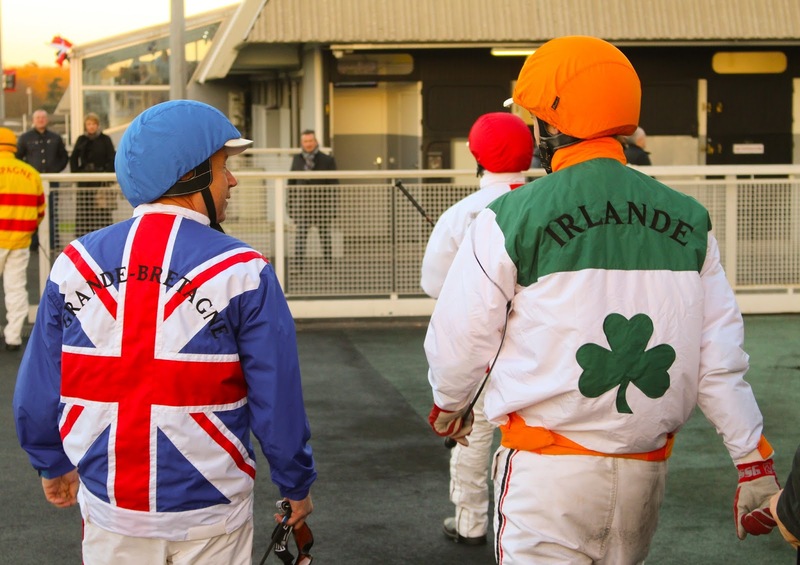 Great Britain were represented by Dr Jack Dowie and Bill Green from TROTBritain, the committee who oversee the racing of Trotteur Francais in the UK, and myself from STAGBI, which is responsible for the registration and administration of all pacers and trotters in the UK. John Foy, his wife Stacyann and son George attended to collect the TF of the Year award for Sulky Du Blequin, and John also participated in the Prix des Recontres Internationales on the Saturday afternoon. Our nearest neighbours, Ireland, were represented by Mark Flanagan, James O'Sullivan and Nadina Ironia from the Irish Harness Racing Association ('IHRA') who are responsible for the breeding and racing elements of pacers and trotters in Ireland; Alan Richardson and Ricky Hanson attended to collect the TF of the Year award for Vichy Du Moem, and Sean Kane competed in the international race in Ireland's colours. Firstly, I have never travelled abroad on my own before. I've travelled the length and breadth of the UK by air, rail and road alone, but never abroad. Secondly, my French is VERY limited. French was one of two subjects in school that I didn't put much effort in to (along with Chemistry). I didn't like the teachers, so at best I did the bare minimum; at worst I was a total distraction in the classroom (if I was even in the room to start with). I dropped French as soon as it stopped being a compulsory subject and focussed on German, which I enjoyed. As a result, I headed to Paris with 'Bonjour' and 'Merci' in my tank. It literally took me about four hours in France itself before I remembered what 'please' was in French. I became that obnoxious British person who can't speak another language and just expects everyone to speak English all the time *cringe*. I wish I'd at least brushed up on my German a bit, that would have been useful with the German, Austrian and Swiss delegates (whose English was superb, considering it was their second or third language. At least I can hang on to the fact that my English is exceptional, imagine if Smarty had come with me? 'D'ya ken wit ah mean?'. No John, nobody 'kens' what you mean. Because 'ken' isn't a word. It's a man's name. Ken. Or Kenneth. Or Kendrick.). So I managed to get myself from Edinburgh airport into Paris CDG via Airfrance (had to resist a Rachel from 'Friends' moment when the French air stewardess spoke to me in English with a French accent, it was all I could do not to say 'OHMYGOD I can understand you!'. But already aware that I was going to be the obnoxious British person who couldn't speak any other language than English, I didn't want to make matters worse for myself). From there I relied on the hotel address written on a piece of paper, which my taxi driver got me to in one piece. He was wearing a suit, and we listened to classical music, and he didn't speak. And there was wifi in the taxi. I was impressed with France so far. When I arrived at the hotel I was met by John Foy and family checking in at the same time. They had driven across from Kent via the Eurostar; apparently it took less time to get to Joinville-le-Pont than it does to get to Tir Prince Raceway. A friendly face upon arrival made me feel less daunted by the whole thing. Later that evening we convened in the hotel lobby along with the delegates from all the other invited countries and were bussed to the racetrack at Vincennes for the awards dinner. I was seated with Jack, Bill and Fraser Garrity, the Racecourse Manager at Chelmsford (which staged two televised trot races in November after a Thoroughbred meeting), as well as a group from Holland which included driver Rick Wester who was competing in the Prix de Recontres Internationales the following day, and his partner Wendy. Wendy and I quickly struck up conversation and found out that we both liked to drink large amounts of wine. Strong start. I established that there are 4 main tracks in Holland, the biggest being Wolvega, which is just over an hour from the centre of Amsterdam. This is when I realised that I could get Smarty on holiday to countries I wanted to visit in Europe if I could coincide them with racedays at harness racing tracks (like we did in Malta). We were bussed back to the hotel at the end of the evening, which was located next to what we believed to be an Irish pub (seemed strange, in France, but I was happy to roll with it). The sensible version of me (which doesn't exist) would have wished everyone 'good night' and headed for bed, as I had an early start the following day to sit in on the meeting between Le Trot and the member countries. The not-so-sensible version of me (which is just me, all the time) decided to head to the Irish pub with Nadina [Ironia], Sean [Kane] and Sean's Spanish-Irish friend, Al (whose name I only found out when we were booted out of the pub at closing time). Turns out the only Irish thing in the pub was the people I was there with. Considering they're not always there, it's hardly an Irish pub, is it?! Oh, but there was a Guinness sign outside. And they served that inside. But every pub I've ever been in in Wales serves Guinness so...yeah, a bit confused. 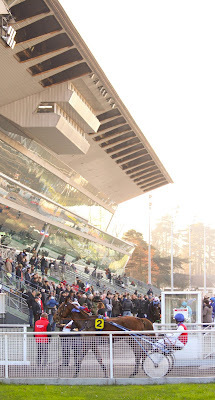 The next day those of us who were attending the meeting were taken back to the racetrack where we firstly watched a presentation by Le Trot on the number of TF exported to the various countries; the number of TF races staged in each country, and the number of TF bred in each country. Interestingly, the highest number of exports in 2016 was to Malta, a country which breeds very few, if any, horses of its own due to the high population and small land area. It surprised me though as during my visit three weeks prior to this one, I saw so many other European trotters at Marsa. I don't know where they're hiding all of these horses!! In 2016, Ireland staged the highest number of TF races, and is projected to stage the highest number in 2017 also. This is mainly due to the fact that Ireland, and on a lesser scale Great Britain, have opted to import TF and move away from British-bred and other European trotters, therefore able to stage a large number of races restricted to TF (as these are essentially the only trotters in the country). During a short break I introduced myself to the US delegate, Peter Venaglia, who was attending on behalf of Yonkers. We spoke at length about the International Trot at Yonkers, and just before the meeting was reconvened I jokingly asked if he would consider extending an invitation to the UK in the future to compete in the race. He didn't say 'no', and seemed quite receptive to the idea. Obviously it's difficult to say no when somebody puts you on the spot but I'd like to think that the communication channels have been opened regarding this. If anyone from the BHRC is reading this - I'm handing this over to you now! The second half of the meeting featured segments from each of the countries represented in the meeting. This was a fascinating insight into how the various TF programmes are working in different countries. Some spoke about how money generated through racing shown on the PMU has been spent to improve infrastructure and facilities, some spoke about plans to stage meetings between neighbouring countries (Germany and Holland), and some spoke about plans going forward for increasing breeding numbers. One country used the time to beg for a PMU day, which was a little uncomfortable to watch and perhaps not the best platform upon which to make the request, however I know from personal experience that if you can't get an answer down the correct route, sometimes you have to challenge people in an inappropriate place in order to get a response. After the meeting we were treated to lunch, before the afternoon's racing which featured Sean and John on behalf of Ireland and Great Britain. During the earlier races I was shown around the paddock area by Mark [Flanagan] and James [O'Sullivan], and I cannot express in words how amazing a place it is. When I visitied Pompano I was blown away by the paddock, which is a huge barn divided into open-fronted stalls grouped by race and numbered according to numbercloths. However, Vincennes was more like a Thoroughbred racecourse in this regard. 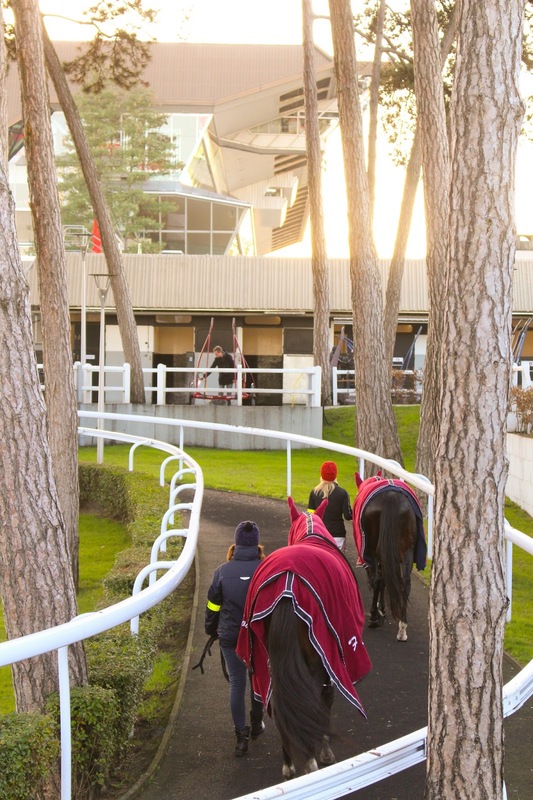 I've only had hands-on experience of Ffos Las in terms of racecourse stabling, but from photos I've seen from friends working within the TB industry, the comparisons between their facilities and Vincennes are very close. Each horse has a stable; there is a pre-parade ring of sorts, which really is used mostly to cool down horses after racing, so a post-race ring I suppose; wash bays for horses inside stables and outside wash bays for cleaning sulkies. It was like a rabbit warren of stables, and I got myself a bit lost more than once trying to find my way back to the main grandstand. The people who spend their racedays in the paddock also have a bar by the horse-entrance to the track, which was the kinda place I could definitely have spent more time across the course of the weekend!! Even their track maintenance equipment is miles better than ours! After the race, I witnessed international relations at their best. Mark Flanagan and the Polish delegate agreed to stage two meetings between Irish and Polish drivers: one to be held in Ireland and the other to be held in Poland. To my knowledge, the two countries have no connection but one simple conversation could bring them together to celebrate a sport that is clearly loved in both. The moment was tinged with sadness for me though in that the UK wasn't seizing similar opportunities to build relationships with other countries, as far as I was aware at least. I don't know if that's down to the mindset that we should sort out our own house before inviting anyone in to it, but sometimes I think you just have to go for things. Take chances. Carpe Diem, as they say in Latin. Seize the day. It was my high school's motto, and something I try to live by each and every day. Unfortunately I have no jurisdiction to be setting up such things. I don't know if that's a good or a bad thing, because if it had been within my remit to set up international race days with other countries, we'd have had some sort of summer in 2017! I'd be signing us up for everything. Life is better lived saying 'oh well' rather than 'what if'. Saturday night back at the hotel was 'free time', and I had planned to spend it chilling out in my room with my laptop so that I could catch up on all my outstanding writing projects. Alas, I am weak-willed and instead found myself in the bar with Mark, James and John Foy, and later out for a meal which involved lots of wine. I bowed out at midnight because everyone was back in the not-at-all-Irish pub, and I knew if I went there I would be there until I got chucked out at closing time again. A rare glimpse of the sensible version of me! On Sunday we returned to Vincennes at lunch time for a buffet lunch and a day of racing. I went exploring the huge building which was staging an indoor festival with various regional food stands. I also met a horse owned by Jack Dowie, and the couple who train for him. 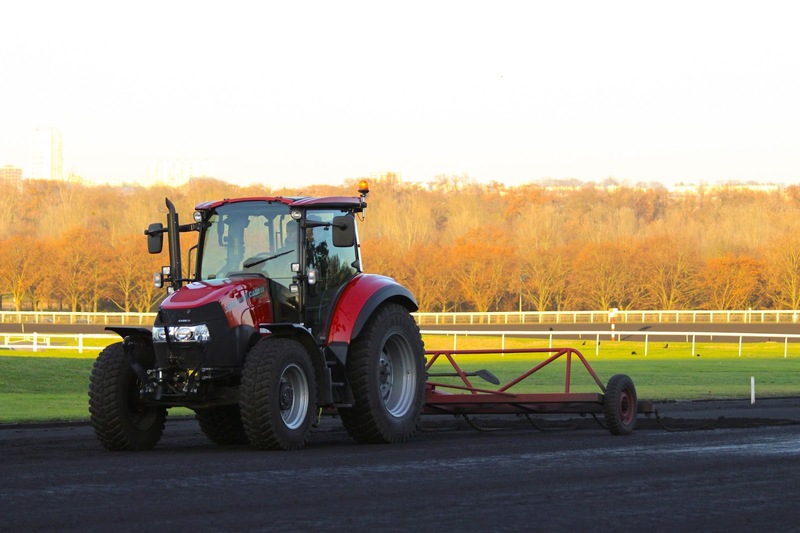 I soaked up the atmosphere in the build up to the big race - the Grand National du Trot, which I'm told is only a fraction of the atmosphere generated for the Prix d'Amerique in January. There were so many people there, waving French flags and cheering. It was unlike anything I have ever seen before. The French not only know how to stage race meetings, they also know how to enjoy them. Emmanuelle Morvillers, who organises these international visits and hosts them so wonderfully, advised me that STAGBI will be invited back for the Prix d'Amerique; alas I think that trip will be taken by Gwenan [Thomas] and Ryan [O'Neil]. 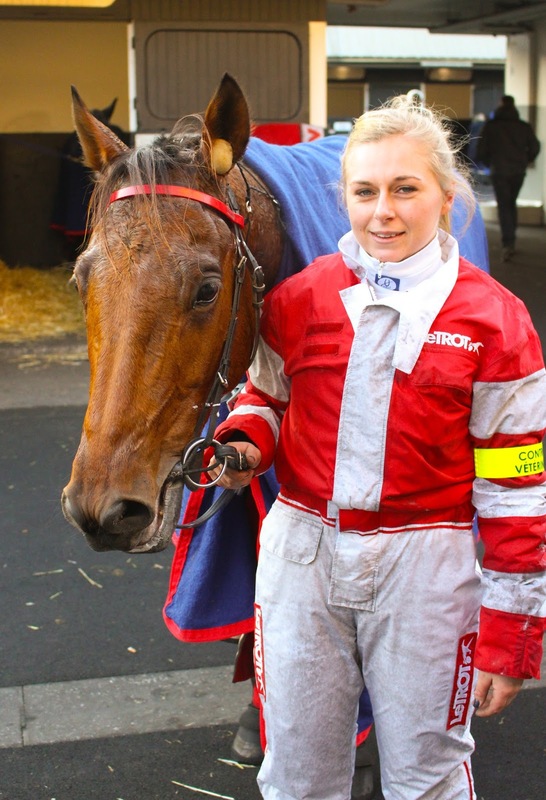 I had hoped to attend with Smarty, who I think would really enjoy the weekend of racing, but other commitments at home at that time of year mean that we'll have to give it a miss. It's a shame, but I know we'll definitely go in the future so I can hold on to that thought. I'm aware that this post has jumped about and not really delved into some of the meatier issues which underly trotting and its future in the UK. I am conscious of the fact that I am primarily pacing-minded, and do not have the experience or background knowledge required to pass comment on how things are being done. I am even more conscious of how that lack of experience and background knowledge make me appear to others far more knowledgable than I when I make any sort of constructive criticism. It would be fair to say that when I have made any constructive criticism previously, I have been faced with such fierce defence of the programme that I am becoming increasingly reluctant to pass comment again. But there is more than one way to skin a cat. If I cannot make my case heard because I am deemed not to be knowledgable enough about the subject, then I must educate myself. I have a history of being able to research subjects thoroughly and through various means; so this is what I will do. 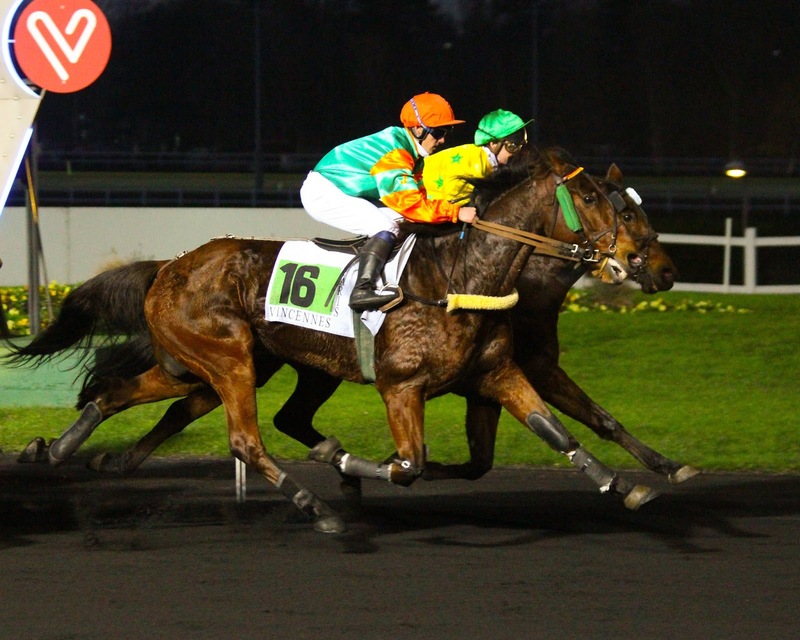 What Le Trot are doing all across Europe and the wider world is genius. It is something to be marvelled at when you look into the inner workings of it. 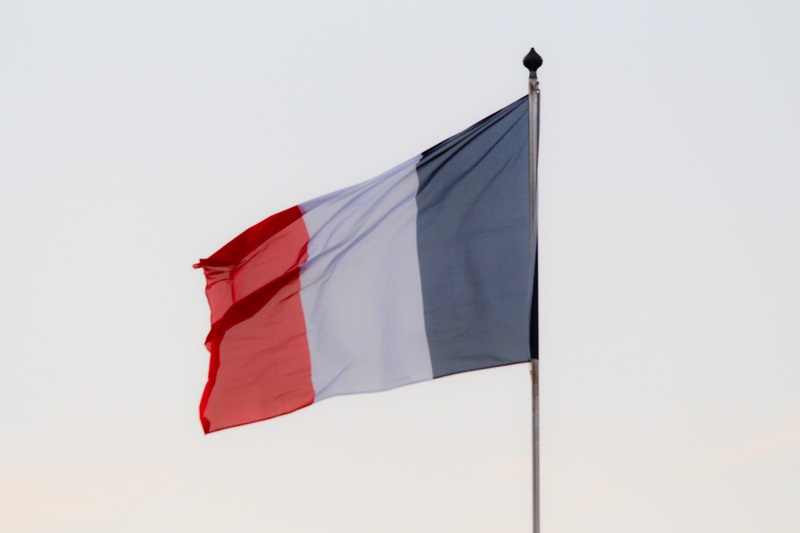 The French are not only consummate hosts, they are entrepeneurs. They have dominated a market across the globe and their reach continues to grow. Any reservations I previously had about having trotters were blown out of the water by the subliminal sales techniques that Le Trot employ. I want to be a part of that. Obviously, life isn't as simple as that and I can't just jump on the bandwagon and buy a Trotteur Francais. That's not to say that I never will though. It is at least encouraging to see the larger numbers of TF coming in to the UK, with the latest batch of two year olds arriving this weekend and heading to their new homes. The excitement from horse owners is palpable.